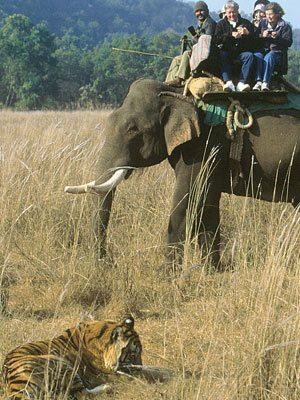 Jim Corbett National Park is one of the famous wildlife reserves in India, covering more than 520 sq km area in the Himalayan foothills. Every year thousand of tourists come to this park to enjoy the wild life adventure and nature. 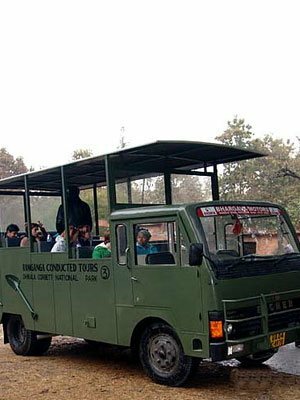 For the convenience of visitors Jim Corbett National Park has been distributed into five tourism zones. Every zone has its separate entry gate. 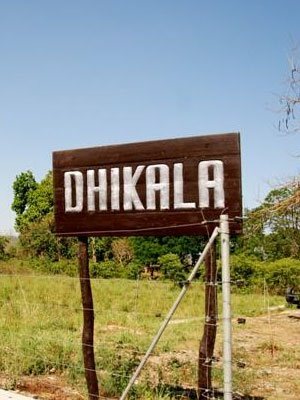 Dhikala Forest Lodge: This is the long-familiar destinations in Corbett. It is placed at the edge of the Patli Dun valley. River Ramganga flows in numerous channels from there. Dhikala offers a superb uninterrupted panoramic sight of the valley, with the Kanda peak in the backdrop. This sight seems as much more imposing the tower in the vicinity Dhikala. The Tourist complex on Dhikala chaur ( one of the last large meadows of the Park) and Phulai chaur. A reader through the many paths through chaurs is rewarded by the observations for the wild elephants, chital, the stag of pigs and many species birds of the meadows and the raptors. Old convalescent home in Dhikala is a historical structure, having been built more than a hundred of years. Sarapduli Forest Lodge: This forest lodge is on Dhangarhi-Dhikala road. It is located downstream from Gairal on the dish of the southern bank Ramganga while the northern bank is drawn up vis-a-vis a strong peak. Movement of the large mammals (tigers, elephants included) is very high, in Sarapduli. It is also a good place to see the crocodiles and also a good thing for the observation of birds. 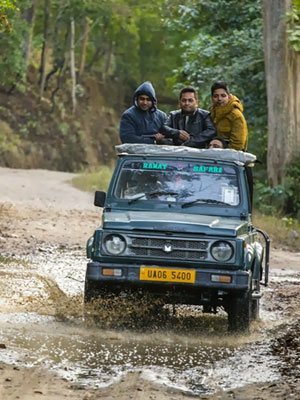 Sultan Forest Lodge: Sultan is the first forest lodge during the driving way of Dhangarhi with Dhikala. Sultan is named after the Stupid Sultan, the seasonal flow which crosses this area. It is characteristic in the dense zone of forest. Gairal Forest Lodge: This forest lodge is reached by a short turning with broad of Dhangarhi-Dhikala forest main roads. 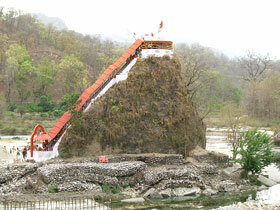 It is located on banks of Ramganga close to the place where the first entry gate of the park. In Gairal Ramganga the portrait d' a character different from this fact at places downstream (like Dhikala). Here, it acts; a crystal clear, fast, which runs river of mountain which runs through the picturesque forests. To be out of the way, Gairal presents ideal conditions to look at fauna and the birds in all peace. Khinnanauli Forest Lodge: Khinnanauli is situated in the middle of Khinnanauli chaur, this forest lodge is an excellent tiger territory. It is one of most recently built convalescent homes Corbett. Its strategic site offers an easy escape to the various parts of the park. Kanda Forest Lodge: Kanda Forest Lodge is the highest forest lodge (nearly 1 km altitude) in the Jim Corbett National Park. Kanda is more in north of Corbett National Park. To be at the top, you have an advantage of experiment and find image all the valley with Ramganga point angle. Kanda located in the north of the park is also known as that the neighbour of The Himalayas for its resemblance to the Himalayas in terms of climate, vegetation and fauna. Here, you obtain the true feeling of the Himalayas. Malani Forest Lodge: This forest lodge is to 12 km in the North-West because of Bijrani. Located on the edge of the central zone of the Park, Malani has offer; one of most picturesque and loneliness. The reader of Malani is very enriching in the observations by mammals and the birds. Bijrani Forest Lodge: The zone located around Bijrani once a part; a block of catch the sight. During the British period, it was much more famous for the quality of the hunting which it offered to shikaris. Compared to Dhikala, the ground with Bijrani is drier and the vegetation is diversified. Jhirna Forest Lodge: This forest rest house is with an interior of the southern limit of the Park. The rest house is on the road of Ramnagar to Kalagarh that turns in a East-West direction through the Park. The landscape is drier than in Dhikala and of the vegetation is mainly undergrowth. Jhirna was an agricultural village until 1994, date on which it was moved within the framework of the Tiger project. The hills in the north of Jhirna are covered with dense spots of bamboo. In more d' to be a good habitat for the tiger, the leopard and the stag, the place accommodates the other mammals like interesting sloth bear and the wild boar. A variety of birds can also be appreciated here. Lohachaur Forest Lodge: This lodging is located in the northern part of the reserve of tigers of Corbett RF buffer zone. It is located on banks of the Mandal river upstream of its confluence with Ramganga.You can get access from Durga Devi gate. Rathuadhap Forest Lodge: Rathuadhap is one of the famous place for the elephants in Jim Corbett National Park. It is located in the north of the buffer; Rathuadhap is on the forest road connecting Durga Devi in the east and towards Vatanvasa in west. Halduparao Forest Lodge: Halduparao rest house is one of the oldest rest houses. It was built hundred years ago. It is placed between the Palain and Sonanadi rivers just before they meet into Ramganga reservoir. Halduparao is the best destination to watch wild elephants during summer season.